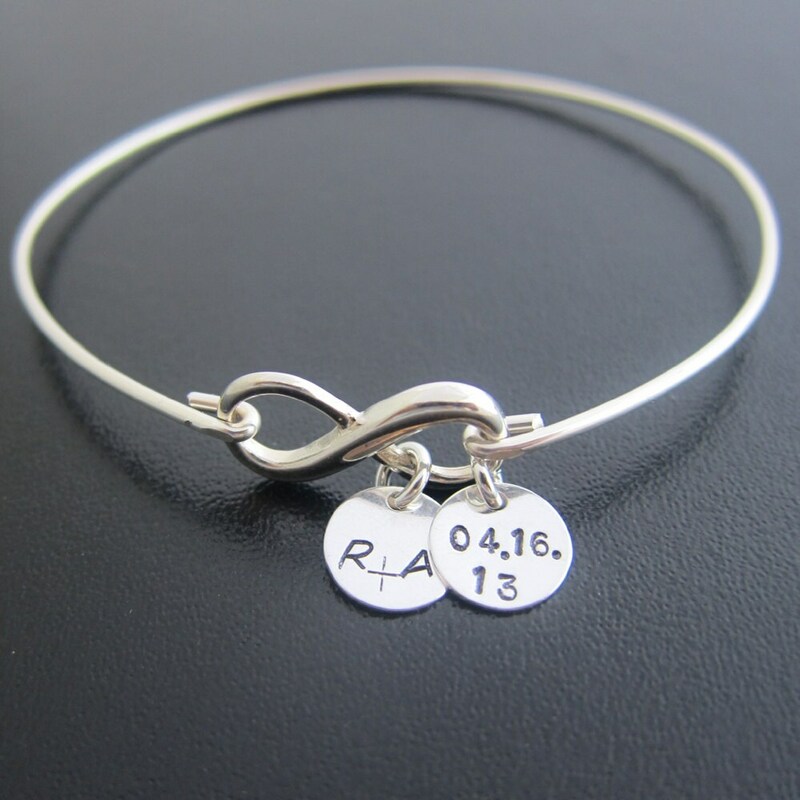 A sterling silver infinity charm will be transformed into a personalized bracelet with a sterling silver bangle band and your choice of 1 to 3 dangling sterling silver charms with initials & date. Or just initials if you would like, or just dates. 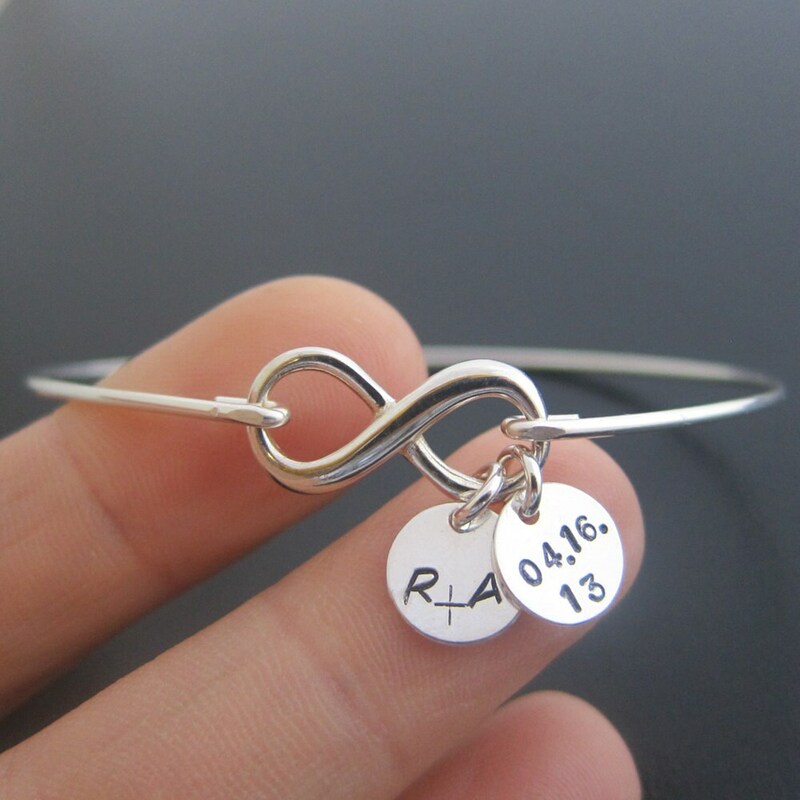 I can fit up to 3 initial charms on the side of the infinity loop with the thinner bottom. I can also use heart charms. 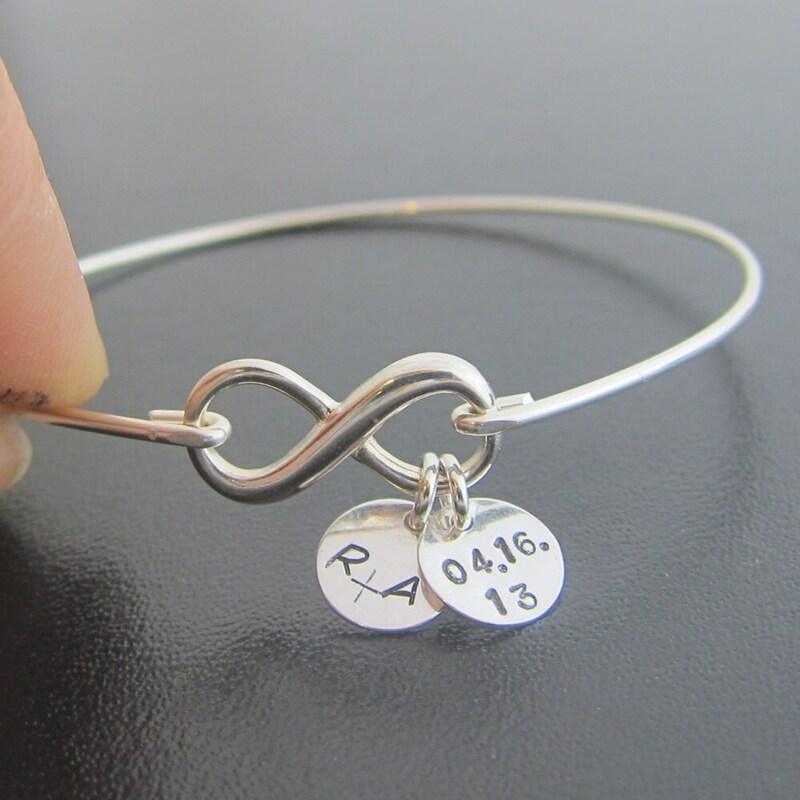 But cannot fit dates on the hearts (only initials). 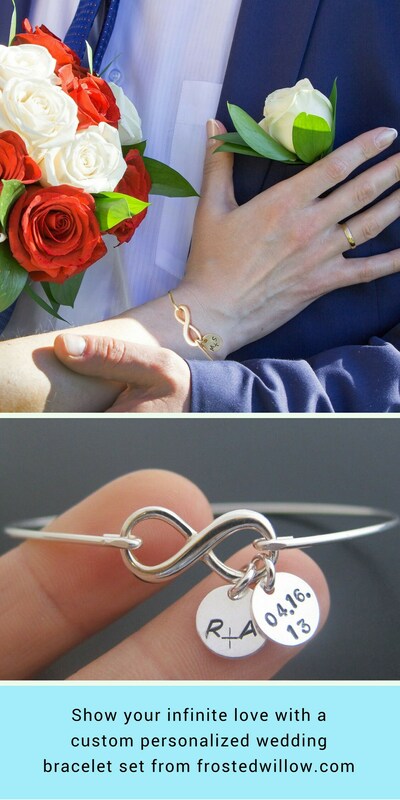 ADDITIONAL FINISH OPTIONS: Also available with a 24k vermeil (matte gold over sterling) infinity symbol combined with 14k gold filled initial & date charms, and a 14k gold filled bangle band. 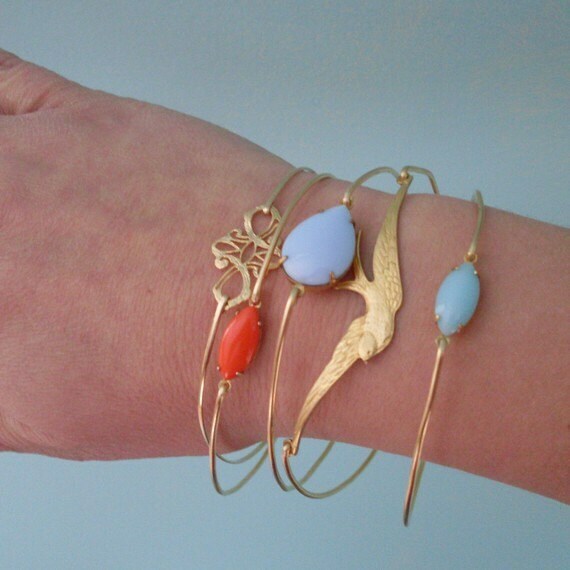 PLEASE NOTE the combination of the 24k gold plated vermeil infinity with 14k gold filled charms and 14k gold filled bangle band give this version of the bracelet a hint of a 2 tone gold finish which the majority of my customers love, but it isn't for everyone.